Your first smartphone comes loaded with magic! Rage Mobiles introduces the all-new Viva with 1GHz Dual Core Processor, extra internal storage and a power packed battery. Everything you've always wanted in your first smartphone is finally here. 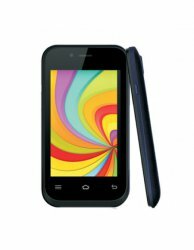 Rage Viva from SMARTMAGIC Series is truly a best buy!